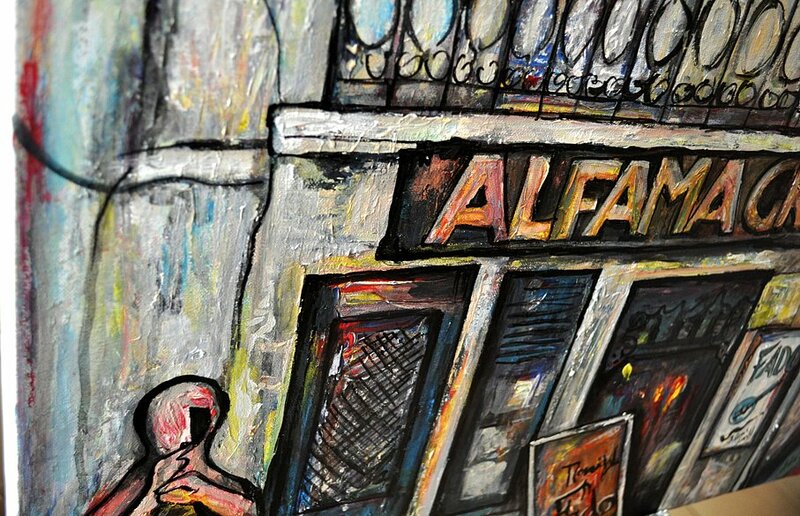 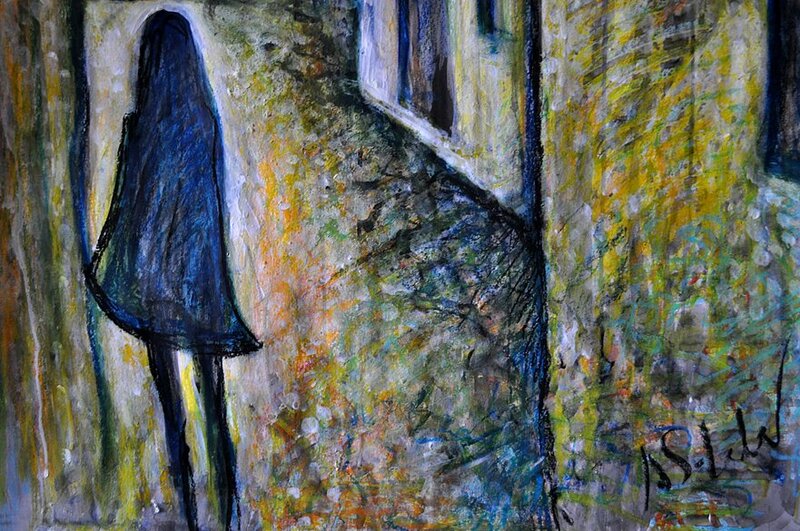 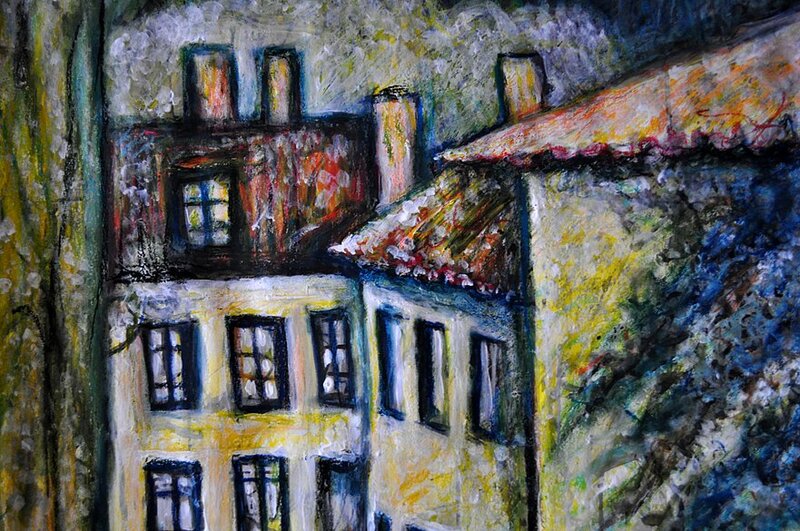 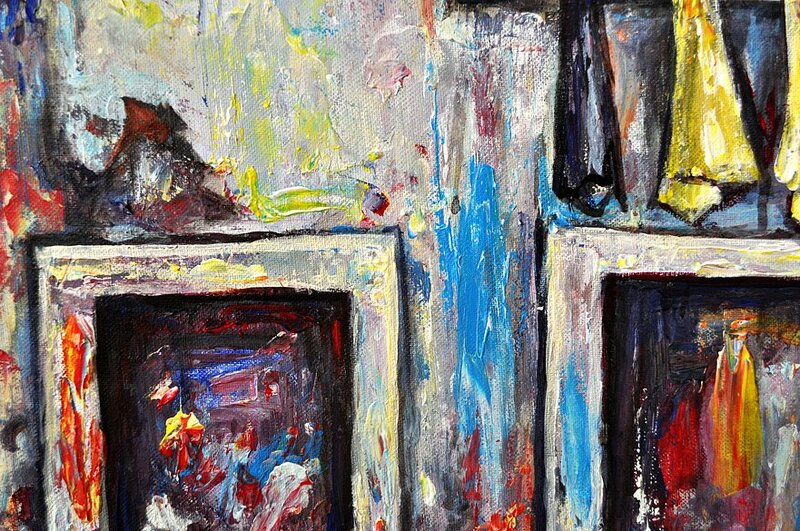 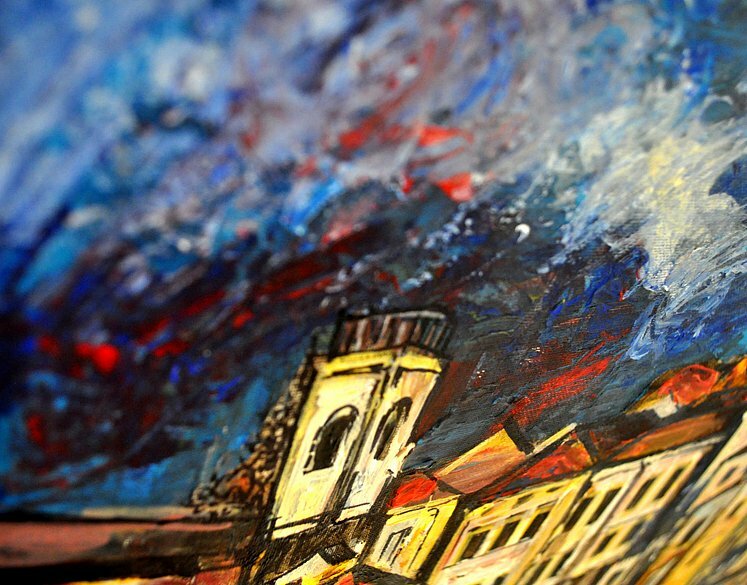 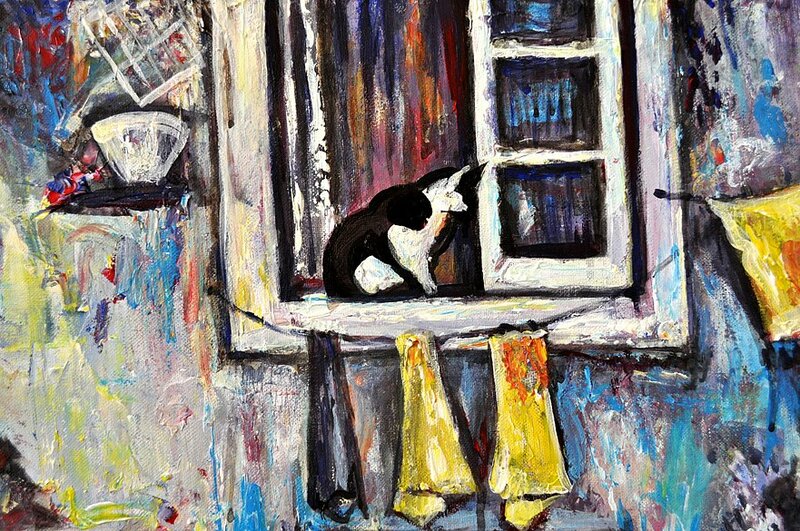 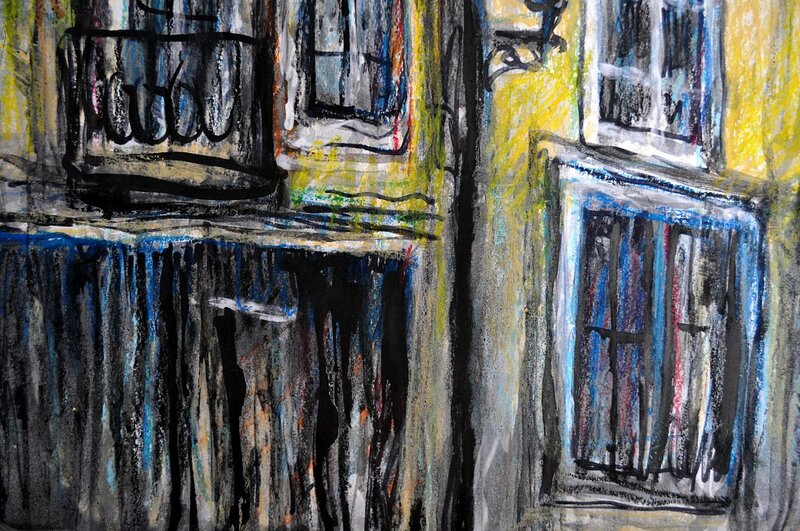 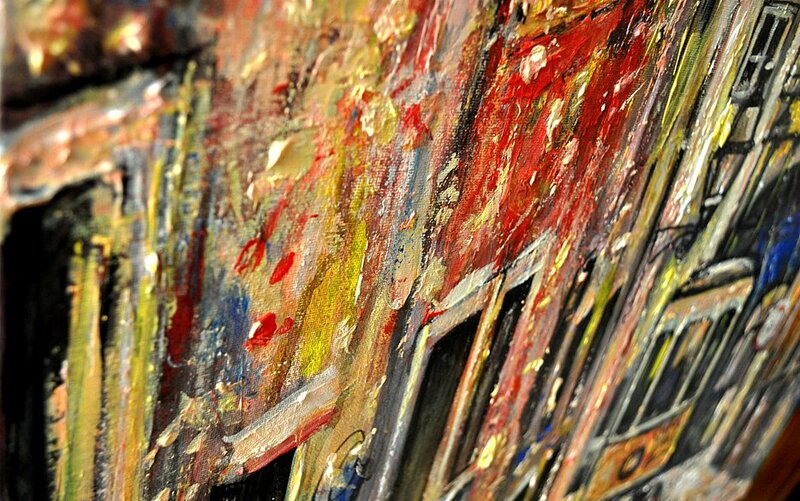 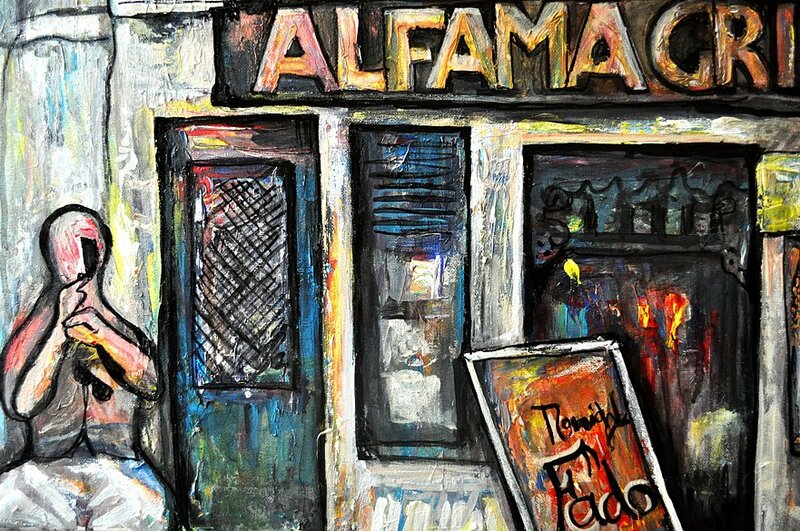 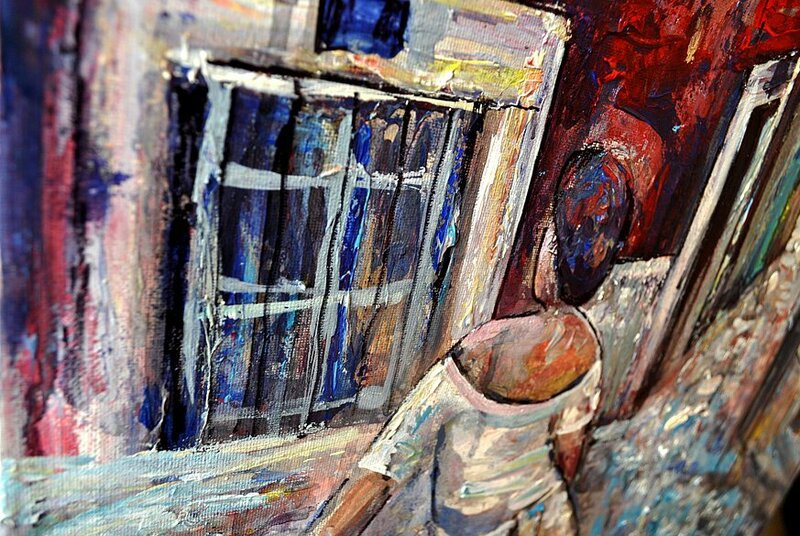 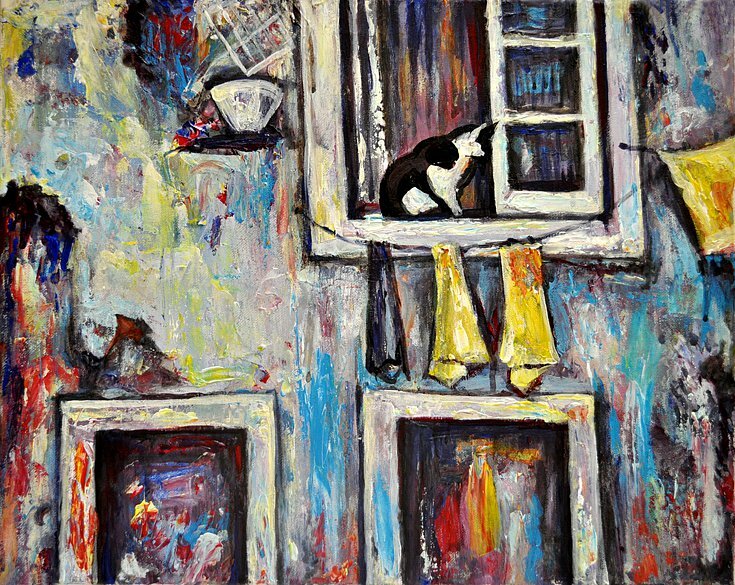 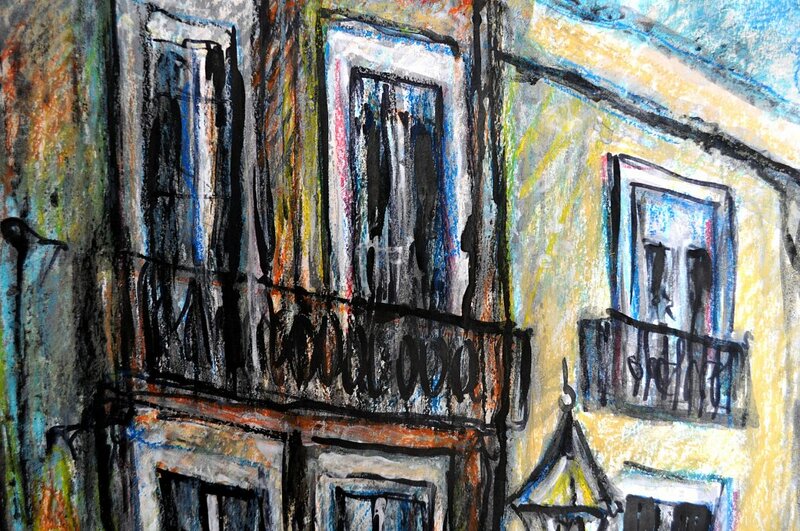 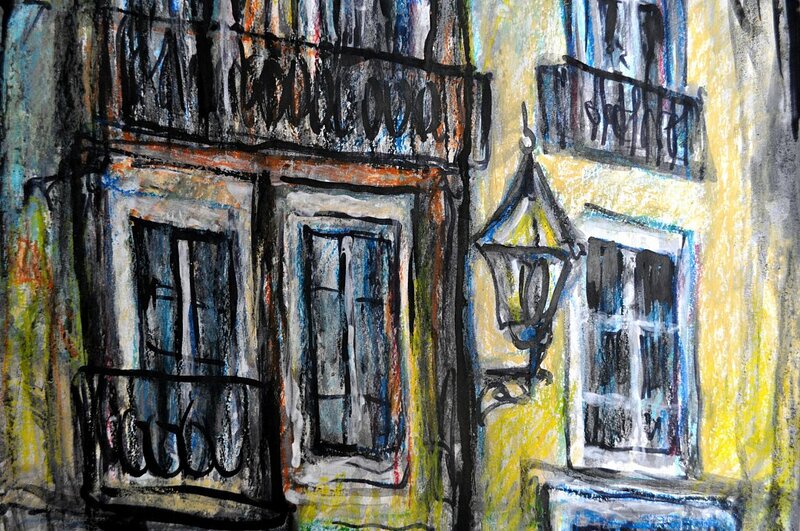 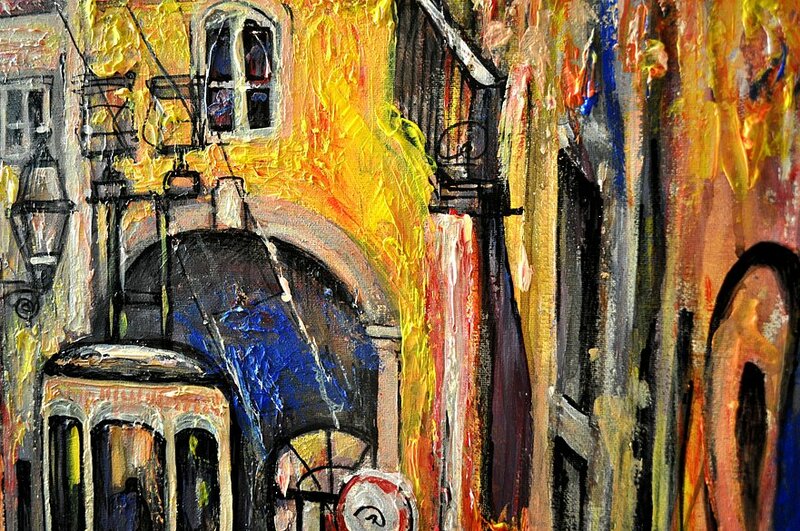 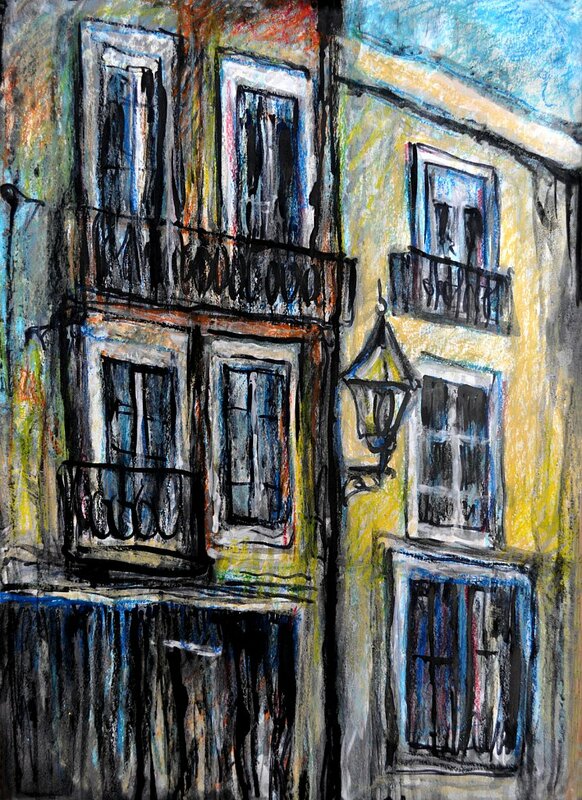 Acrylic cityscape painting portrayed a cat in the window in Alfama, central district in Lisbon, Portugal. 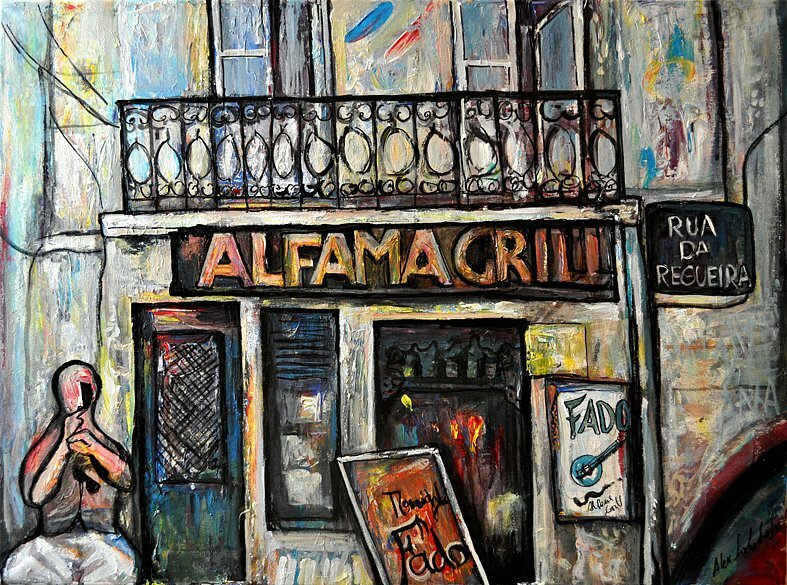 Alfama is famous for its beautiful vintage houses, shops and cafes. 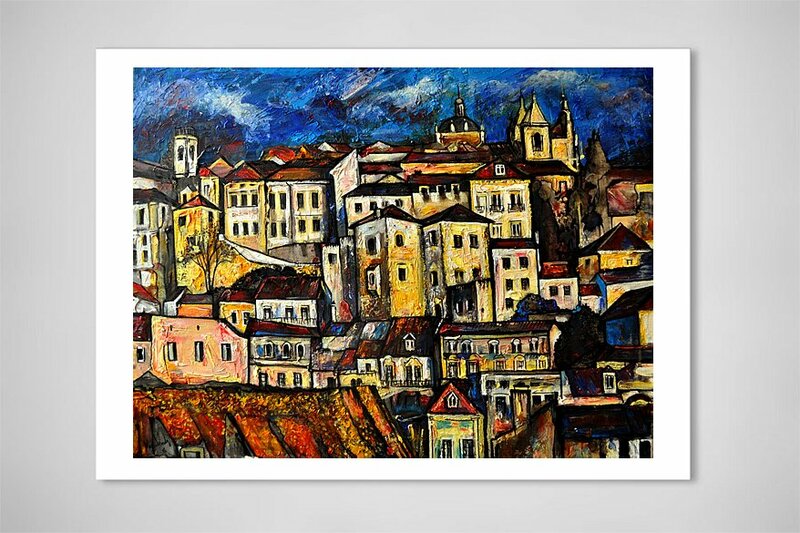 Alfama is the oldest district of Lisbon and is a delightful maze of narrow streets, which lead from the Tejo estuary uphill to the castle. 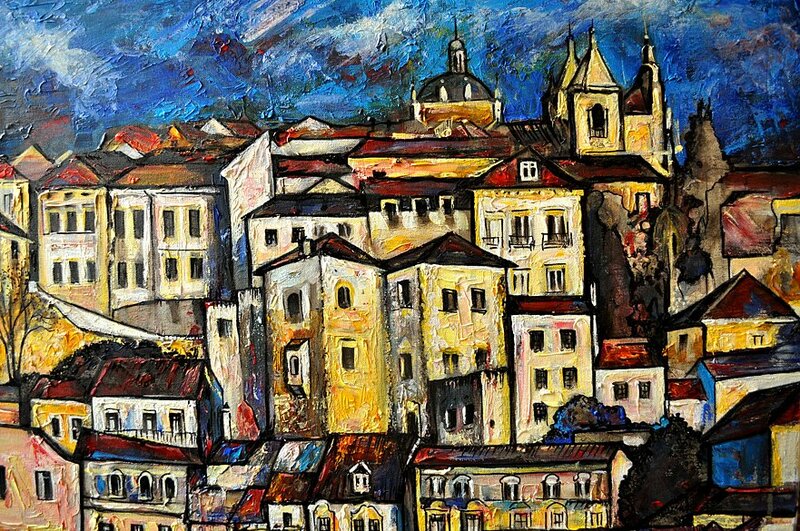 Lisbon Castle, National Pantheon and Saint Anthony’s Church. 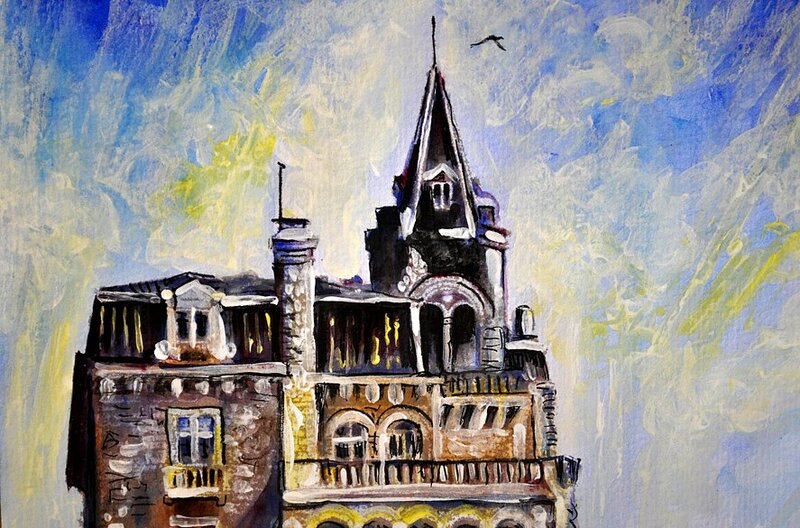 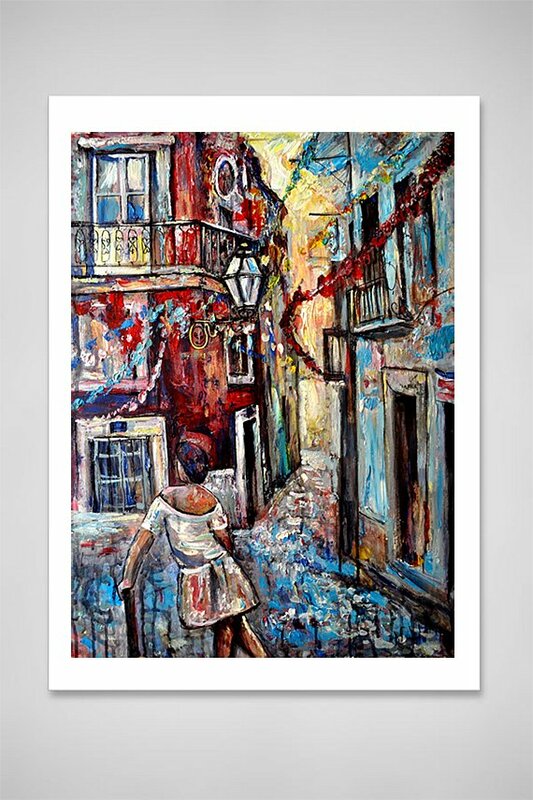 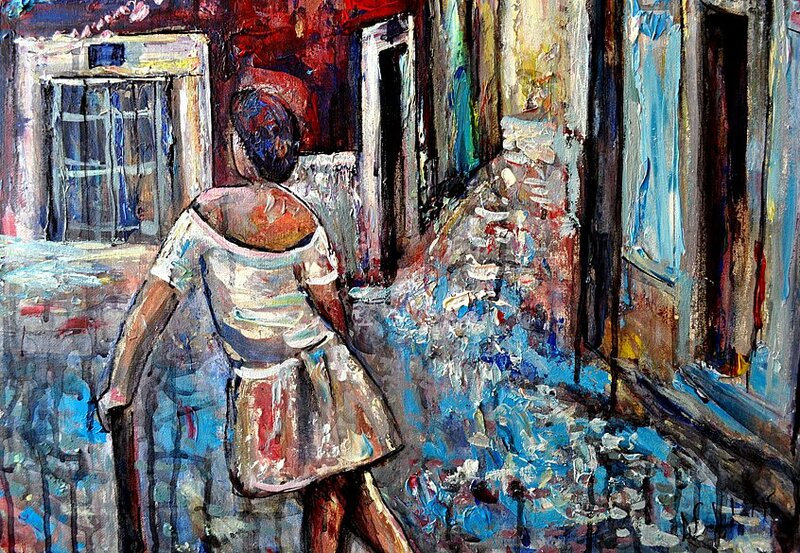 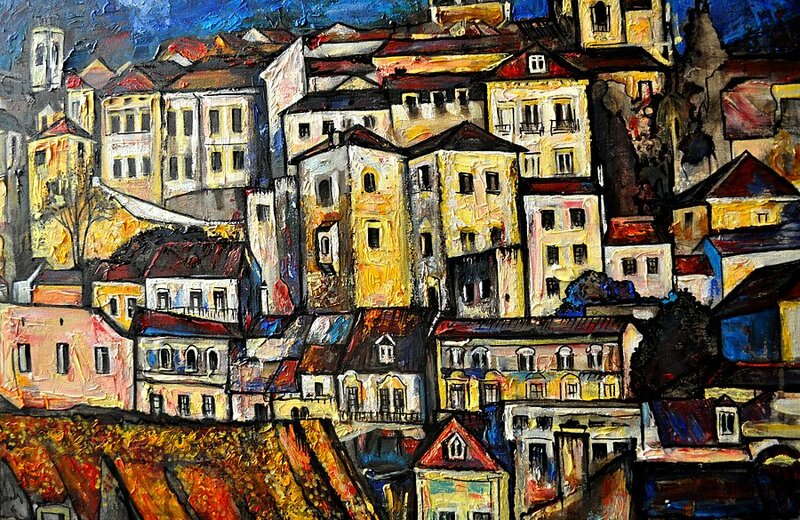 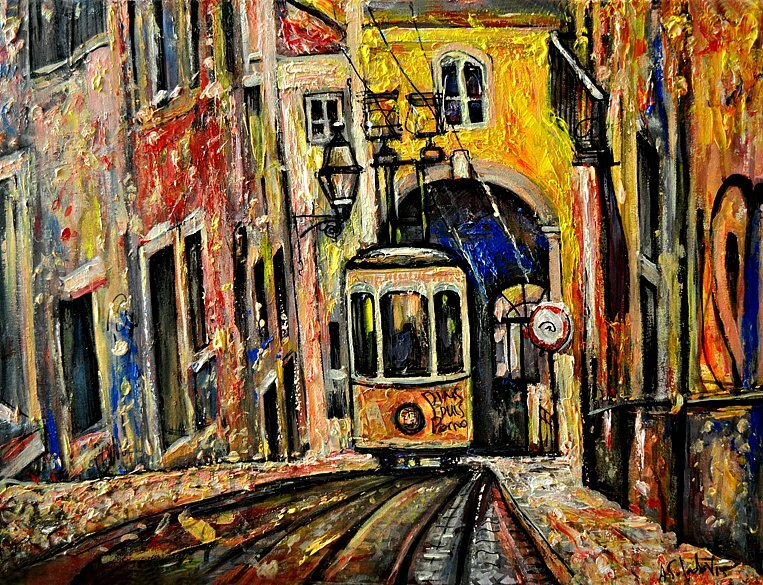 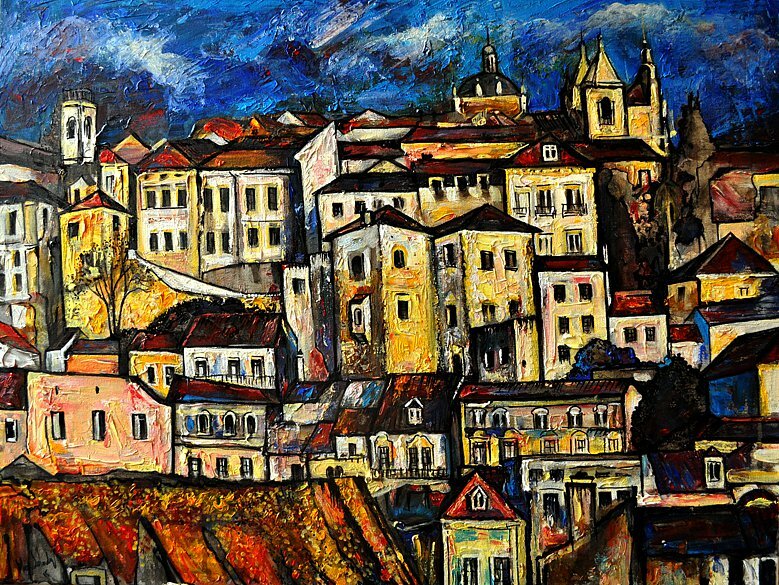 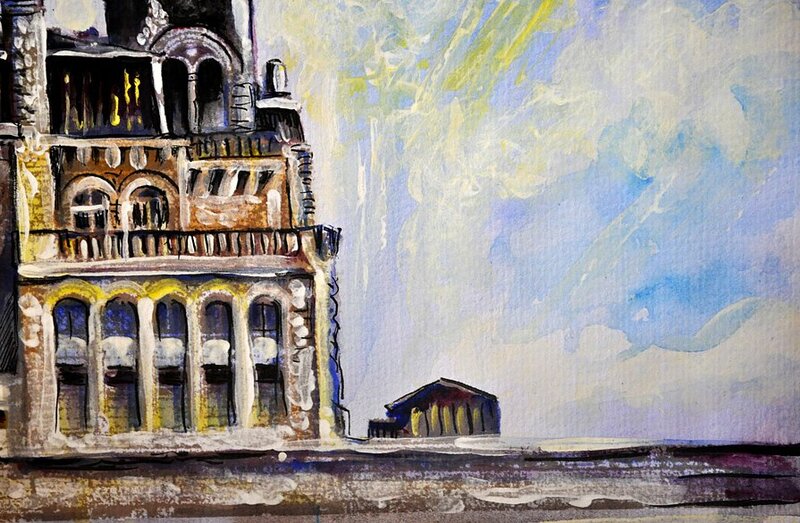 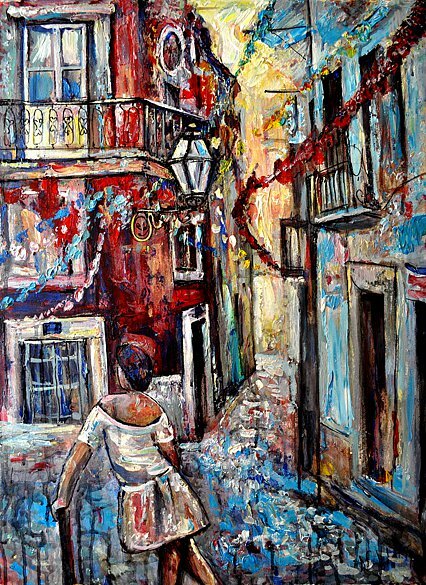 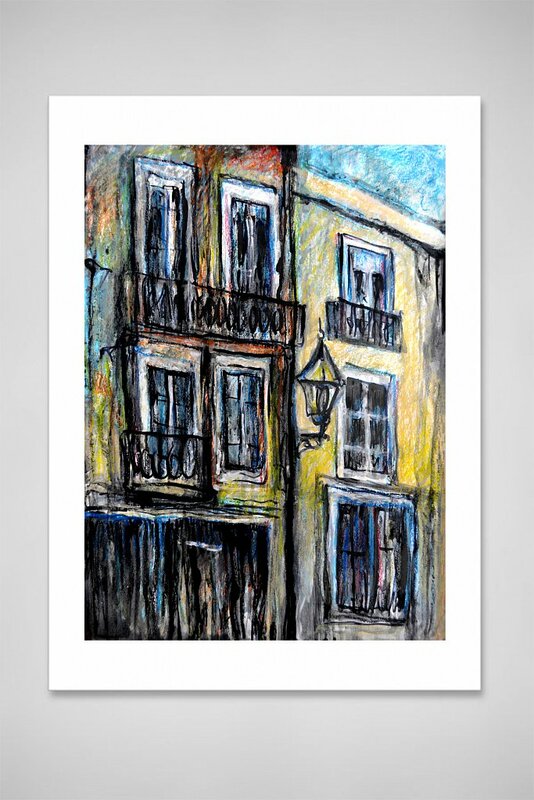 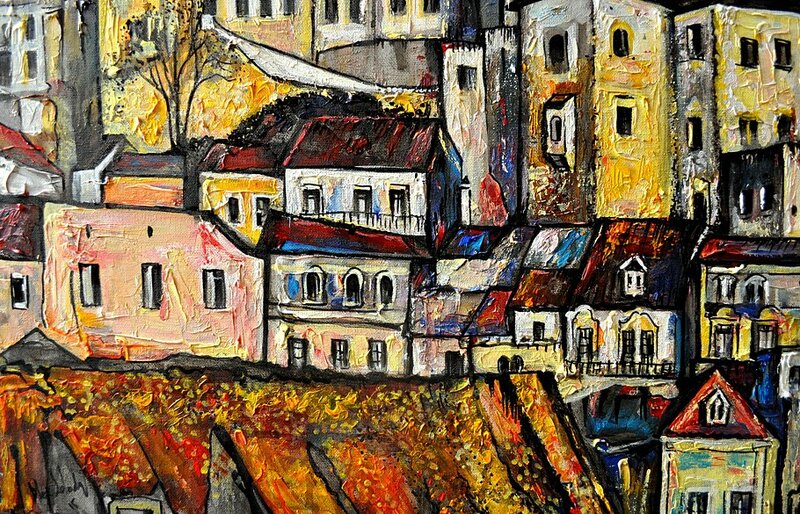 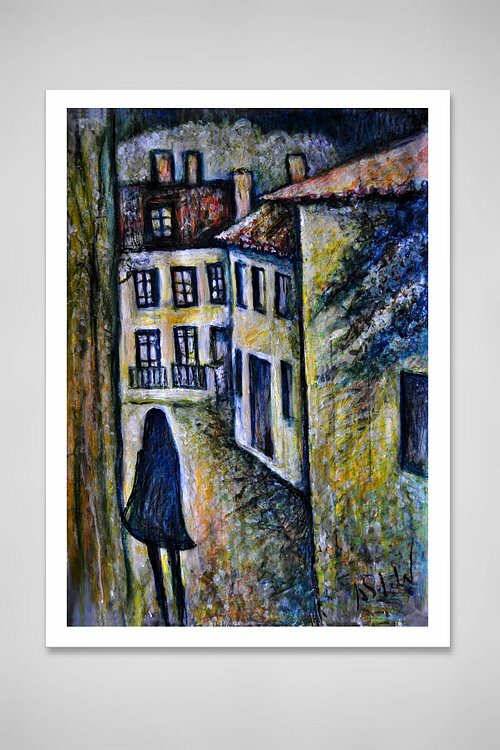 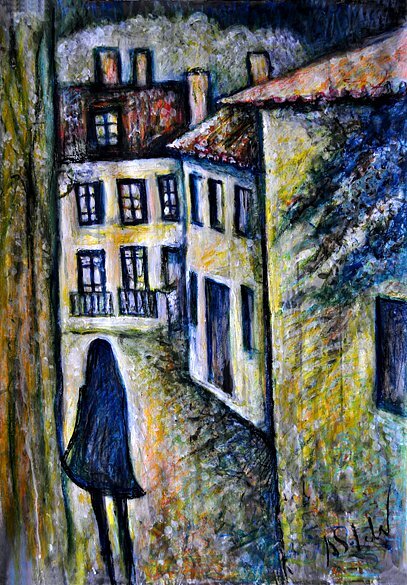 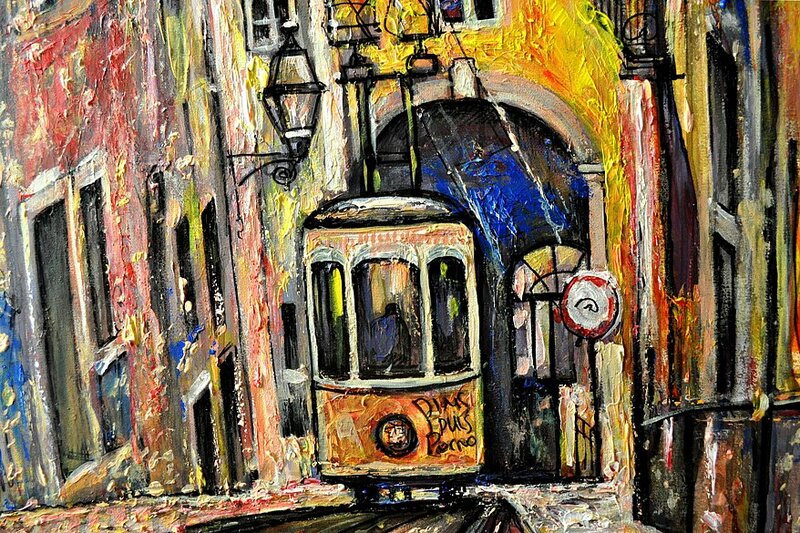 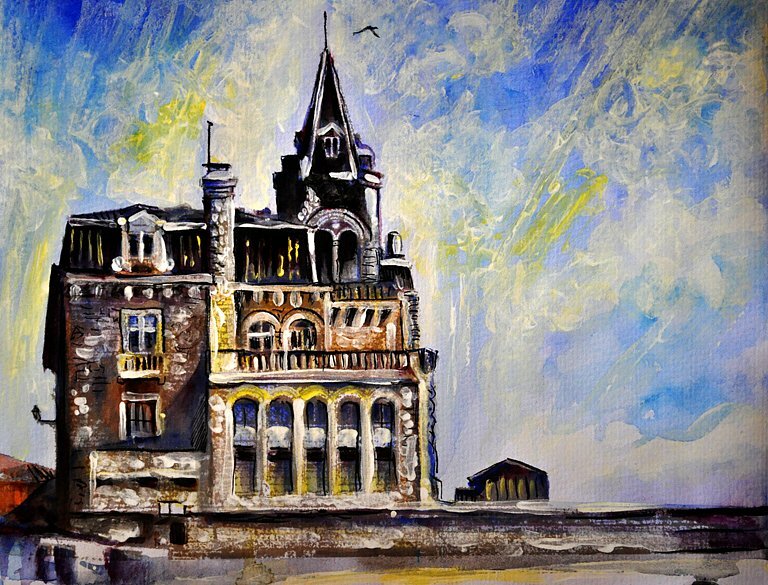 In this painting artist used expressionist brush painting technic for capturing a simple view from everyday life in Lisbon.